Larnaca mayor Andreas Vyras announced that the construction of the Larnaca municipal market will start in September.“In August the contract with the company which is going to carry out the works is expected to be signed, and after the summer holiday, around the end of September, construction will start,” he said. He said following the awarding of the tenders there were no objections reported to the tender review authority and thus there will be no delay in starting the work. The tender for the construction of the project was awarded to Lois Builders, which beat off another five companies with an offer of €5.9 million. Construction will start by closing the parking area in the centre of the city, which has been in operation since 1996 when the old municipal market was demolished. For the project, funding by the European union of €18 million has been secured, the mayor explained. The total area of the market is 2,000m² of which 1,200m² will be landscaped green spaces. The ground floor of the market will accommodate 20 shops selling traditional products and perishables, plus a space for an outdoor market and an information centre. 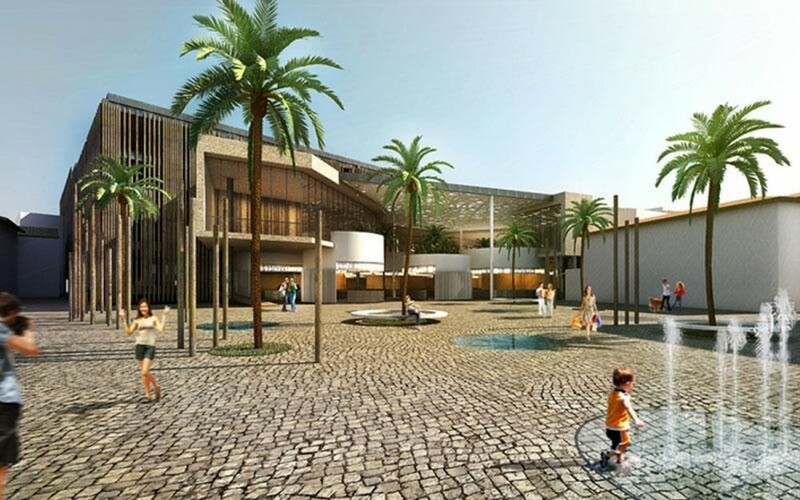 The shopping areas will cover approximately 700m². For the mezzanine four snack bars, a small gallery and an exhibition space are planned. A terrace with sitting areas and a roof garden with aromatic plants will be created on the top of the building, with three open air bars. The project includes a multi-storey parking with some 180 spaces on six levels. According to the municipality, all the necessary facilities for disabled people will be provided for.